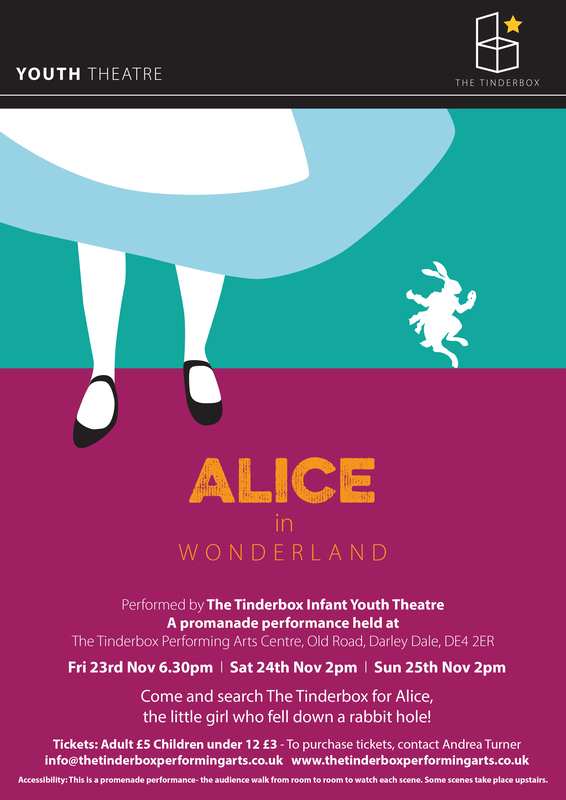 The Infant YT will take the audience in search of Alice through the warren of The Tinderbox. She’s fallen down a rabbit hole! Can we find her and will the White Rabbit be ‘there’ on time? On Fri 23rd Nov 6.30pm, Sat 24th Nov 2pm, Sun 25th Nov 2pm at The Tinderbox Performing Arts Centre.